SAN SALVADOR, El Salvador (CNS) — Bishops from across Latin America condemned the ongoing violence in Venezuela and called for the church to find ways to provide charity to the South American country amid food shortages that have left thousands hungry. “We are worried and pained by the deaths, the violence, the lack of the most basic goods, the divisions, the violation of human rights,” said Auxiliary Juan Espinoza Jimenez of Morelia, Mexico, secretary general of the Latin America bishops’ council, known by its Spanish acronym, CELAM. Bishop Espinoza spoke during CELAM’s assembly in San Salvador, which brought together Catholic representatives from 21 Latin American countries plus delegations from the United States and Canada. The meeting, which ended May 12 and was themed “A poor church for the poor,” dedicated special attention to the situation in Venezuela. The conference appointed a commission to study the issue and make recommendations. The commission will be headed by Archbishop Diego Padron Sanchez of Cumana, Venezuela, president of the Venezuelan bishops’ conference. 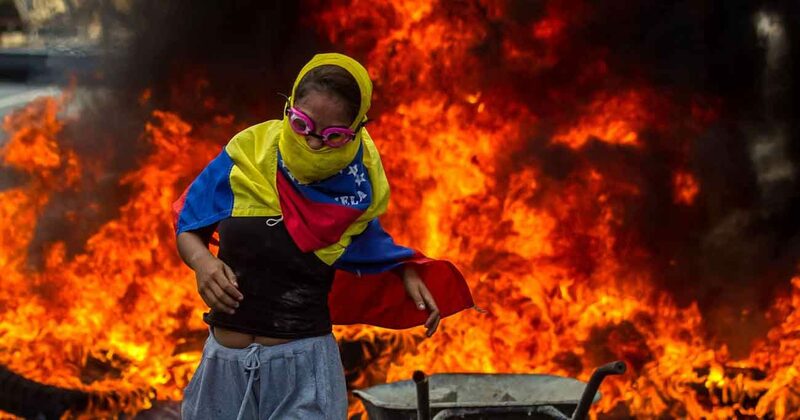 The South American country of 31 million has been besieged by a deep political crisis since President Nicolas Maduro moved to expand his power, including taking over the functions of the opposition-controlled congress and, more recently, pushing for the constitution to be reformed. Weeks of large-scale street demonstrations have led to violent clashes with police, leaving nearly 40 people dead and drawing international condemnation. The country has struggled with a deep economic recession and runaway inflation that has caused shortages of food and medical supplies. A survey by a Venezuelan university found about 75 percent of the population had lost an average of 19 pounds last year because of the lack of food. Bishops Espinoza urged the church to respond to the crisis by providing supplies. “We call on the diocesan communities of Latin America and the Caribbean to initiate initiatives of charity with our Venezuelan brothers and to think about ways to make them effective, despite obstacles that may arise,” he said.